Star Wars website Rebelscum has posted their gallery of the apparel and merchandise that was available at the expo during the Run Disney Star Wars Dark Side Half Marathon event weekend – check out the gallery here. Bria from White Hot Room has made a gorgeous Imperial Officer-inspired dress, complete with rank badge. You can also check out her ‘Destroy the Resistance’ looks with fellow White Hot Room blogger Lin, very cool! Instagram user lizabeeauty has shared a photo of her customised Her Universe ‘Ahsoka’s Journey’ t-shirt. As the shirt has a unisex cut, Elizabeth has given the tee a mini makeover – I love the tied fringe edge! 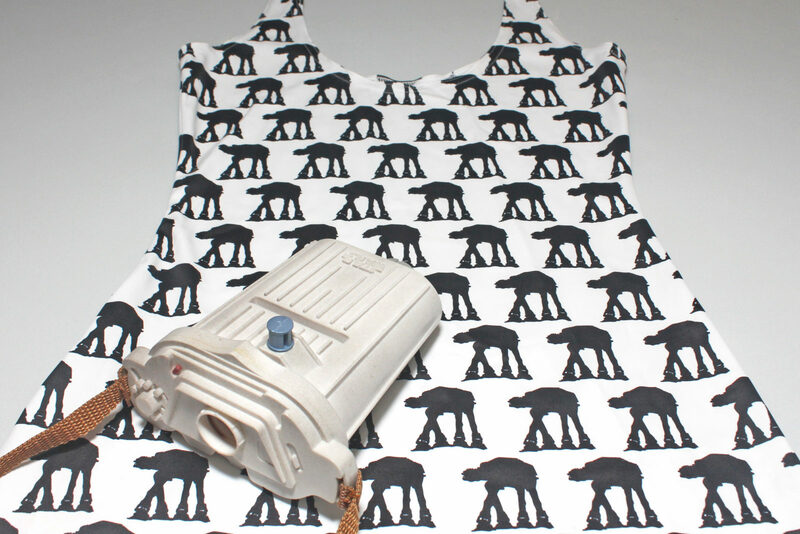 The Disney Style blog has posted a fun quiz about your Star Wars style! Is your personal style Light side, or Dark Side? Check out the quiz here. Instagram user adventuresofadisnerd posted photos of her Rey inspired outfit to wear to Dapper Day at Walt Disney World. I think my favourite part is the fascinator – with light-up lightsabers! Ashley Eckstein and Her Universe are mentioned in this Forbes article titled ‘Women entrepreneurs are changing the face of the fan economy’. The article talks about the growing number of women creating and selling geek products at comic conventions, which is great. Anna Prosser Robinson put together this Darth Vader inspired outfit, with items from Her Universe, Kay Jewelers, and Irregular Choice – she looks great! Rebecca Brown from Morgandea Art posted this neat sketch of a Jedi Luke Skywalker inspired women’s outfit. It’s the first in her series, can’t wait to see more! Previous Post New Her Universe collection photos!